Scotty has been a writer for Neirad since has Sophomore year of High School. Scotty enjoys writing pieces about technological updates and policies that occur within the school. He also enjoys writing movie and television reviews, his most recent being a review on Star Wars: The Last Jedi. Scotty is a competitive swimmer, who has been swimming since the age of 6. 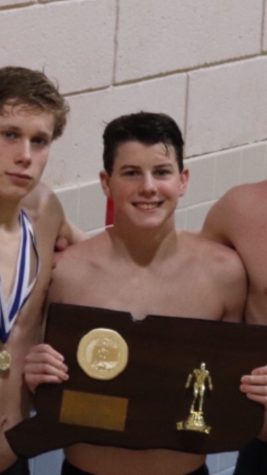 In the fall, spring, and summer he swims for Chelsea Piers in Stamford, CT, while in the winter he swims for Darien High School. His favorite book is Ender's Game by Orson Scott Card, and one of his favorite movies is Dazed and Confused by Richard Linklater. His celebrity crush is is January Jones.